Have you received a letter from HM Revenue and Customs (HMRC) ask you to file your 2018/19 tax return by January 2020? 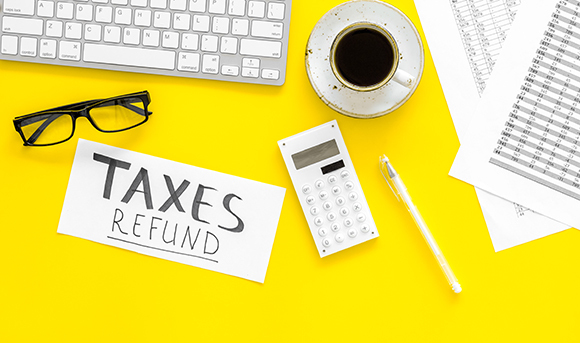 Although January is months away, did you know you can file your tax return any time after 6th April 2019 – here are 7 great reasons why you should file your tax return sooner rather than later. A common myth is that once your tax return is filed HMRC will expect you to pay any tax owed. Not true. Even if you file your tax return early with HMRC, you are only obliged to pay any tax liability by the normal due dates of 31st January 2020 (balance and the first payment on account, if applicable) and 31st July 2020 (second payment on account, if applicable). Another benefit of filing early is that if you owe less than £3,000 in tax and you submit your tax return by 30th December 2019, you can opt to have your tax liability collected through your tax code. Why wait to receive your tax refund? Once you file your tax return, your refund should be processed soon after. That means the money could be sat in your bank account earning interest sooner. If you wait until January, refunds usually take longer to be issued as HMRC staff and systems can be overwhelmed at this time. Under or over payments of tax can often arise for employees or directors, where HMRC has made errors with their tax codes. Building subcontractors operating under the Construction Industry Scheme are often in a tax refund position. If you are in receipt of tax credit or benefits, your claim needs to be renewed annually by 31th July, which involves letting the Tax Credit Office know of your income. While you may submit temporary estimates, it is preferable to submit the actual figures as soon as possible to avoid you being over or underpaid until the Tax Credit Office has received your actual figures. If your affairs have changed this year, then preparing your tax return in good time ensures you have the space to think about any tax planning opportunities available to you. Not rushing to complete your tax return should also reduce the risk of errors being made. It also allows time for bank statements and any other financial documents you may need to file the return to be collated. Despite HMRC’s best endeavours, a large number of taxpayers still choose to leave their return until the last minute. Around 731,000 tax returns were outstanding on 31st January 2019. We are available right now to help you complete your tax return early so you know how much tax you need to pay and by when. If you are due a refund, it makes perfect sense to receive this as soon as possible. We are working with many self-employed individuals and business owners who have already filed theirs and we are ready to help you too. Call us today on 0800 0523 555 or complete our online form to make that first step.